The liberty of man consists solely in this, that he obeys the laws of nature, because he has himself recognized them as such, and not because they have been imposed upon him externally by any foreign will whatsoever, human or divine, collective or individual - Mikhail Bakunin (Founder of Anarchism, in his God and the State,1882). "The individual is handicapped by coming face to face with a conspiracy so monstrous he cannot believe it exists." 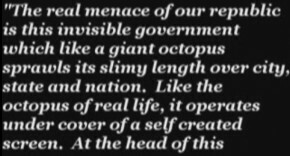 -- J. Edgar Hoover, former FBI director. Only the small secrets need to be protected. The big ones are kept secret by public incredulity." -- Marshall McLuhan "
If dozens of CEO's, European and Federal Reserve banking and finance kingpins, Prime Ministers, European royalty, NSA officials, professors from top Universities, NATO and UN officials, oil company chairmen, and foreign policy luminaries SECRETLY meet behind closed doors (and have been for years) And not one single U.S. media reports on it - Does that mean there is no Corporatocracy?. Well the evidence for this is a little more suggesting. The reports of this corporatocracy show that corporations, to a significant extent "own" or have massive power over governments, including those governments nominally elected by the people, and that they exercise such power from back-room meeting (Bildergroup) with their enormous, concentrated economic power, and by legal in-the-open mechanisms (lobbyists, campaign contributions to office holders and candidates, threats to leave the state or country for another with less oversight and more subsidies etc). The More things "change" the the more they stay the same. 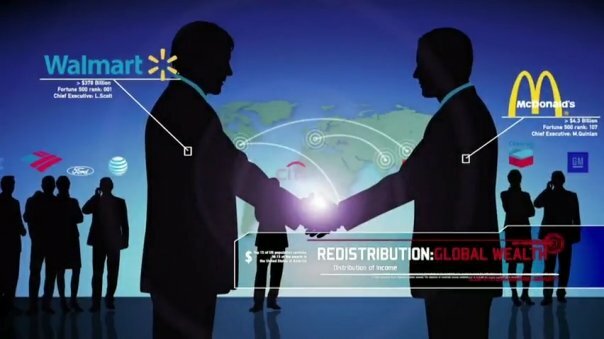 The most comprehensive and factual based research we have found on the global NWO (new world order) or one world government agenda can be obtained from both the The Centre for Research on Globalisation (CRG). The CRG is an independent research and media group of writers, scholars journalists and activists. The CRG is based in Montreal. It is a registered non profit organization in the province of Quebec, Canada.The Global Research webpage publishes news articles, commentary, background research and analysis on a broad range of issues, focussing on social, economic, strategic, geopolitical and environmental processes. And the InfoWars /Prison Planet orgniazation hosted by Syndicated radio journalist and documentary filmmaker Alex Jones. activism and research is unique. Alex is the only journalist in his class to present these particular themes in as much capacity. 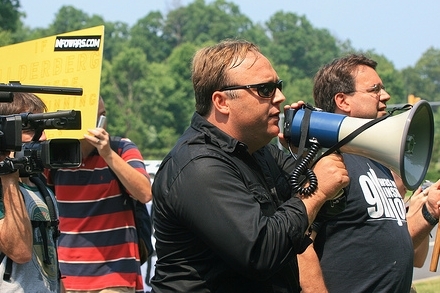 The Info war team are true friend's of humanity. First you must ask yourself why have the elite been meeting in quiet and why have the press been kept out? 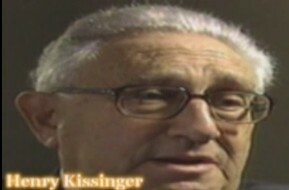 - The Bilderberg group, which unites some of the world's most powerful people, has been meeting behind closed doors for decades. 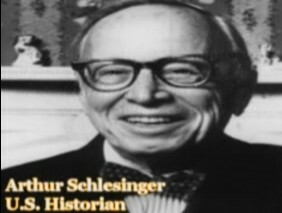 An investigative journalist Daniel Estulin has just revealed to the European Parliament all he claims to have discovered about the 'Bilderbergers', and expects the results of his findings to have the 'effect of an atomic bomb'. Is the Copenhagan treaty about creating a world government? In October 14th 2009, Lord Christopher Monckton, a noted climate change expert, gave a presentation at Bethel College in St. Paul, MN in which he issued a dire warning regarding the United Nations Climate Change Treaty which is scheduled to be signed in Copenhagen in December 2009. This is the climate expert (Lord Christopher Monckton) that was NOT allowed to testify on Capitol Hill BEFORE the Cap and Trade bill was passed in the House. 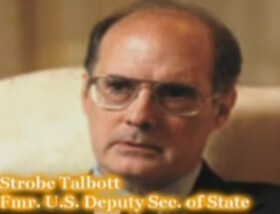 They allowed Newt Gingrich to speak and Gore but this individual was cut the very day he was to speak. 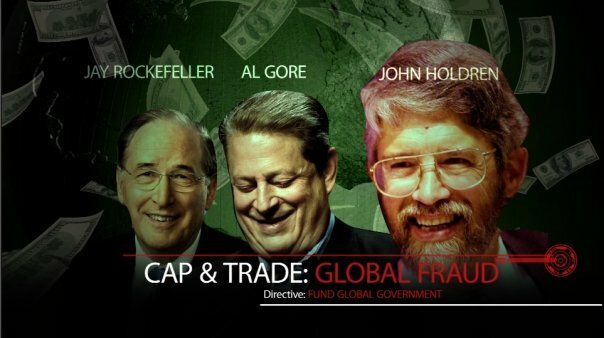 Lord Christopher Monckton showed facts that the Climate Issue is a perpetrated fraud for profits. The Minnesota Free Market Institute hosted an event at Bethel University in St. Paul on Wednesday evening. Keynote speaker Lord Christopher Monckton, former science adviser to British Prime Minister Margaret Thatcher, gave a scathing and lengthy presentation, complete with detailed charts, graphs, facts, and figures which culminated in the utter decimation of both the pop culture concept of global warming and the credible threat of any significant anthropomorphic climate change. Due to the lack of the mainstream media's exposure of this issue the general public have never been given an opportunity to educate themselves, and further consolidate to address this issue collectively. Panacea's aim of this page is to start the first stage, the public must educate ourselves, enquire for these questions to be answered from politicians and enforce regulation against such coruption. 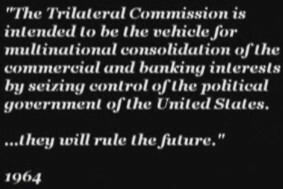 The Federal Reserve and the world bankers involvement with the NWO plans have been mentioned previously on the banking reform page, and further dealt with objectively by the petitions and implementation goals of the Von Mises institutes objectives. It is the aim here to present further evidence to confirm the case of the NWO against the worlds people. 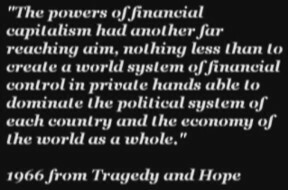 The best introduction and of evidence to confirm the NWO is contained in Quiggly's book tragedy and hope. 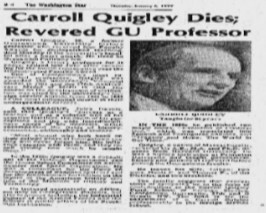 DR Quigley’s is a high profiled academic teacher and associate of high profiled richer banking families. 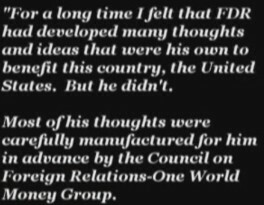 In the disclosure from his book tragedy and hope he has identified key elements and figures from having been working with a shadow government and having examined their secret records. Other reference: None Dare Call It Conspiracy, by Gary Allen. In its day (1970).But this is only a modern accout of what has been recorded of being apparent since the 1800's. All need to ask them selfs why the public are not allowed to se the inner workings of the BilderBerg Group. The Bilderberg, the highest echelon of the global financial and political elite. What are Bilderberg Conferences all about? The Bilderberg Secretariat proclaims the conferences to be '...private in order to encourage frank and open discussion'. Frank and open discussion is a good thing in any forum but when those doing the discussing are some of the very most powerful financiers and media tycoons in the world it begs the question: If what they discuss is for the good of ordinary people why not publicise it! Isn't it a perverted use of the word 'open' when no-one can find out what they're saying? No, it's not a 'conspiracy'. The world's leading financiers and foreign policy strategists don't get together at Bilderberg to draw up their 'secret plans for the future'. It's subtler than that. These meetings create an artificial 'consensus' in an attempt to spellbind visiting politicians and and other men of influence. Blair has fallen for this hook, line and sinker. It's about reinforcing - often to the very people who are on the edge of condemning Globalisation - the illusion that Globalisation is 'good', 'popular' and that it's inevitable. The ideology put forward at the Bilderberg conferences is that what's good for banking and big business is good for the mere mortals of the world. Silently banished are the critical voices, those that might point out that debt is spiralling out of control, that wealth is being sucked away from ordinary people and into the hands of the faceless corporate institutions, that millions are dying as a direct result of the global heavyweight Rockefeller/Rothschild economic strategies. The Bilderberg organisers are accepted by those 'in the know' as the prophets of Capitalism. 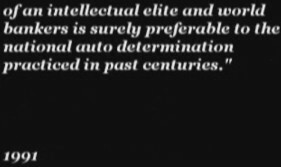 Will Hutton, deputy Editor of The Observer newspaper in London and left-leaning Economist, described private clubs of the elite as masterminded by 'The High Priests of Globalisation'. The ecclesiastical allusion is not accidental. The Bilderberg high-priests are a force against good, out to wipe morality from the earth. For the organisers Bilderberg Conferences are an annual ideological assault by the world's most power-hungry people. Not content with owning unimaginable amounts of money and property they want to use that wealth to acquire even more power for themselves. Power is the most dangerous and addictive drugs known to man. Will the craving be satisfied when a handful of men own and control everything on earth? And just like the Nazi party in the 1930's the global Capitalist Elite are rising in power by peaceful means. 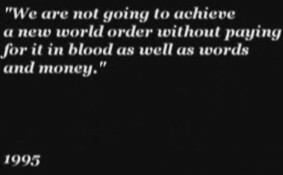 There are some very uncomfortanble and unexplained connections between Bilderberg and the Nazis through the Conference's founder Prince Bernhard. There must certainly be some sociopathic minds behind Bilderberg since they go to so much trouble to promote policies that lead to exploitation, inequality and despair. These individuals seem oddly switched off from the suffering they are clearly causing. Surely only pernicious people would want to control the ideology of the world's mainstream press, and undermine natural political discourse. Public opinion and democratic institutions are a threat when you want to own the world. A US law, called the Logan Act, states explicitly that it is against the law for federal officials to attend secret meetings with private citizens to develop public policies. Many presently and in the past who have attended the Bilderberg group have done so in violation of this ACT. Other countries have a similar version of the Logan act. Secret Rulers Of The World The Bilderberg Group Jon Ronson. Aaron Russo joins Alex Jones for a fascinating sit-down in depth video interview on a plethora of important subjects. Aaron begins by describing how the draconian and mafia tactics of Chicago police woke him up to the fact that America wasn't free after his nightclub was routinely raided and he was forced to pay protection money. Aaron and Alex then cover a broad range of topics including the private run for profit federal reserve, Aaron's experience in the late 80's with the IRS when they retroactively passed laws to punish silver and gold traders, the real meaning of the word "democracy," what really happened on 9/11 and Aaron's relationship with Nick Rockefeller, who personally tried to recruit him on behalf of the CFR. 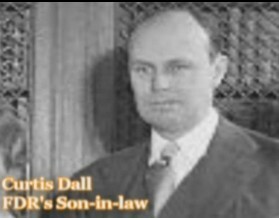 Aaron also relates how Rockefeller told him that the elite created women's liberation to destroy the family and how they want to ultimately microchip and control the entire population. 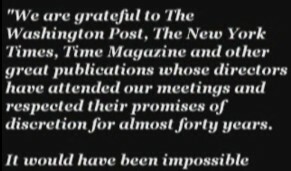 Rockefeller also told before 9/11 Russo that an unexpected "event" would catalyze the U.S. to invade Afghanistan and Iraq. 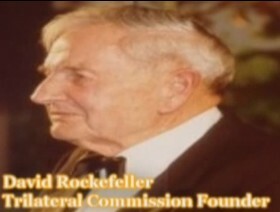 Research a related institute which appears to be in existance to advance and structure (lke Bildergerg) the NWO goals. The CFR "council on foreign relations". What 2008 Presidential Candidates are part of the CFR? What 2008 Presidential Candidates are part of the CFR? What are they trying to accomplish? 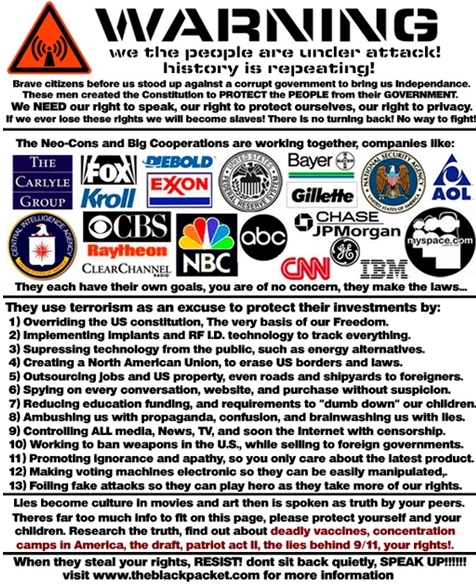 The following information is creditable evidence profiling the issues of the New world order. 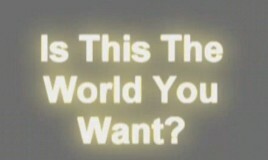 Most of the public will not be aware of the meaning or slogan or its details concerning the NWO. 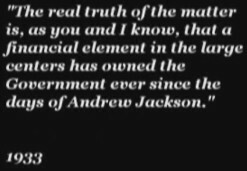 All this evidence also compliments William coopers disclosures detailing the NWO. The following is a basic summery introduction and taken from HERE. Is the 2010 Polish plane crash part of an Agenda? This is an 18 minute report on how the Russian Secret service took care of the survivors of the Poland plane crash 9th April that killed the President. 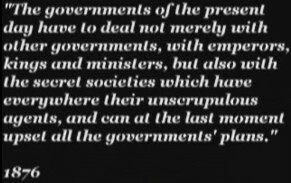 Nothing secret about government? In Memoriam Aleksander Litvinenkot. Litvinenko talks about his time with the secret service, about his experience in Chechnya, and in particular about the series of bomb attacks on Russian territory that led to the seizure of power by Vladimir Putin. According to Litvinenko those attacks were the work of the secret service. The following article is extracted from an excellent analysis of the New World Order by author Ken Adachi which can be found at educate-yourself.org. 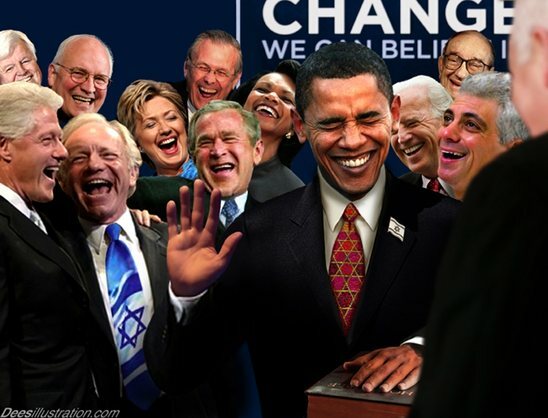 The term New World Order (NWO) has been used by numerous politicians through the ages, and is a generic term used to refer to a worldwide conspiracy being orchestrated by an extremely powerful and influential group of genetically-related individuals (at least at the highest echelons) which include many of the world's wealthiest people, top political leaders, and corporate elite, as well as members of the so-called Black Nobility of Europe (dominated by the British Crown) whose goal is to create a One World (fascist) Government, stripped of nationalistic and regional boundaries, that is obedient to their agenda. 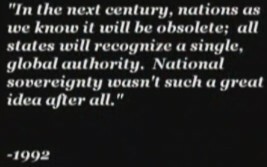 "We will have a world government whether you like it or not. 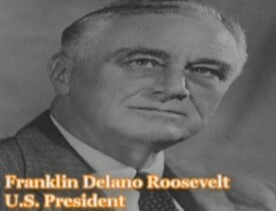 The only question is whether that government will be achieved by conquest or consent." (February 17, 1950, as he testified before the US Senate). Their intention is to effect complete and total control over every human being on the planet and to dramatically reduce the world's population by two thirds. 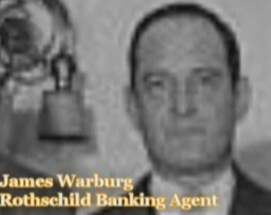 While the name New World Order is the term most frequently used today to loosely refer to anyone involved in this conspiracy, the study of exactly who makes up this group is a complex and intricate one. There will be no middle class, only rulers and the servants. All laws will be uniform under a legal system of world courts practicing the same unified code of laws, backed up by a One World Government police force and a One World unified military to enforce laws in all former countries where no national boundaries shall exist. 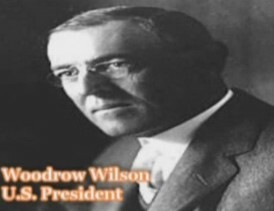 The system will be on the basis of a welfare state; those who are obedient and subservient to the One World Government will be rewarded with the means to live; those who are rebellious will simply be starved to death or be declared outlaws, thus a target for anyone who wishes to kill them. Privately owned firearms or weapons of any kind will be prohibited." The sheer magnitude and complex web of deceit surrounding the individuals and organizations involved in this conspiracy is mind boggling, even for the most astute among us. Most people react with disbelief and skepticism towards the topic, unaware that they have been conditioned (brainwashed) to react with skepticism by institutional and media influences. 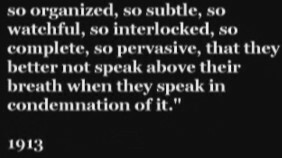 Author and de-programmer Fritz Springmeier (The Top 13 Illuminati Bloodlines) says that most people have built in "slides" that short circuit the mind's critical examination process when it comes to certain sensitive topics. "Slides", Springmeier reports, is a CIA term for a conditioned type of response which dead ends a person's thinking and terminates debate or examination of the topic at hand. For example, the mention of the word "conspiracy" often solicits a slide response with many people. What most people believe to be "Public Opinion" is in reality carefully crafted and scripted propaganda designed to elicit a desired behavioral response from the public. Public opinion polls are really taken with the intent of gauging the public's acceptance of the New World Order's planned programs. A strong showing in the polls tells them that the programming is "taking", while a poor showing tells the NWO manipulators that they have to recast or "tweak" the programming until the desired response is achieved. 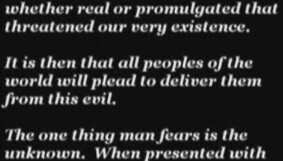 The NWO global conspirators manifest their agenda through the skilful manipulation of human emotions, especially fear. In the past centuries, they have repeatedly utilized a contrivance that NWO researcher and author David Icke has characterized in his latest book, The Biggest Secret, as Problem, Reaction, and Solution. The technique is as follows: NWO strategists create the Problem - by funding , assembling, and training an "opposition" group to stimulate turmoil in an established political power (sovereign country, region, continent, etc.) that they wish to impinge upon and thus create opposing factions in a conflict that the NWO themselves maneuvered into existence. In recent decades, so called opposition groups are usually identified in the media as 'freedom fighters' or 'liberators'. At the same time, the leader of the established political power where the conflict is being orchestrated is demonized and, on cue, referred to as 'another Hitler' (take your pick: Saddam Hussein, Milosevic, Kadaffi, etc.). The 'freedom fighters' are not infrequently assembled from a local criminal element (i.e. KLA, drug traffickers). In the spirit of true Machiavellian deceit, the same NWO strategists are equally involved in covertly arming and advising the leader of the established power as well (the NWO always profits from any armed conflict by loaning money, arming, and supplying all parties involved in a war). The conflict is drawn to the world stage by the controlled media outlets with a barrage of photos and video tape reports of horrific and bloody atrocities suffered by innocent civilians. The cry goes up "Something has to be done!" And that is the desired Reaction. The NWO puppeteers then provide the Solution by sending in UN 'Peace Keepers' (Bosnia) or a UN 'Coalition Force' (Gulf War) or NATO Bombers and then ground troops (Kosovo), or the military to 'search for Weapons of Mass Destruction', which of course are never found. Once installed, the 'peace keepers' never leave. The idea is to have NWO controlled ground troops in all major countries or strategic areas where significant resistance to the New World Order takeover is likely to be encountered. 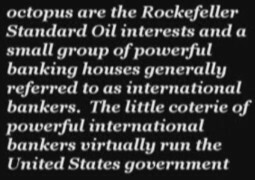 The corporate portion of the NWO is dominated by international bankers, oil barons and pharmaceutical cartels, as well as other major multinational corporations. The Royal Family of England, namely Queen Elizabeth II and the House of Windsor, (who are, in fact, descendants of the German arm of European Royalty - the Saxe-Coburg-Gotha family - changed the name to Windsor in 1914), are high level players in the oligarchy which controls the upper strata of the NWO. The decision making nerve centers of this effort are in London (especially the City of London), Basel Switzerland, and Brussels (NATO headquarters). 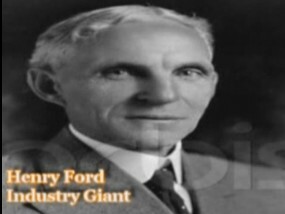 The leaders of all major industrial countries like the United States, England, Germany, Italy, Australia, New Zealand, etc. (members of the "G7/G8" ) are active and fully cooperative participants in this conspiracy. 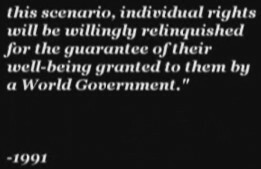 In this century, the degree of control exerted by the NWO has advanced to the point that only certain hand-picked individuals, who are groomed and selected are even eligible to become the prime minister or president of countries like England, Germany, or The United States. It didn't matter whether Bill Clinton or Bob Dole won the Presidency in 1996, the results would have been the same. Both men are playing on the same team for the same ball club. Anyone who isn't a team player is taken out: i.e. President Kennedy, Ali Bhutto (Pakistan) and Aldo Moro (Italy). 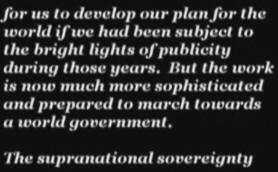 More recently, Admiral Borda and William Colby were also killed because they were either unwilling to go along with the conspiracy to destroy America, weren't cooperating in some capacity, or were attempting to expose/ thwart the takeover agenda. 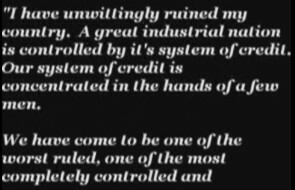 Most of the major wars, political upheavals, and economic depression/recessions of the past 100 years (and earlier) were carefully planned and instigated by the machinations of these elites. They include The Spanish-American War (1898), World War I and World War II; The Great Depression; the Bolshevik Revolution of 1917; the Rise of Nazi Germany; the Korean War; the Vietnam War; the 1989-91 "fall" of Soviet Communism; the 1991 Gulf War; the War in Kosovo; and the two Iraq wars. Even the French Revolution was orchestrated into existence by elements of the NWO. The instigation of a trumped-up war as a cover for amassing fortunes which can be dated back to at least the 12th Century when only a core group of nine members of the Knights Templar, kicked off the The Crusades that lasted for over a century and a half. The core group mentioned above have been reported as being the military arm of a secret society known as the Priory of Sion, but this has been proven to be a hoax, In 1307, the king of France, Philippe the Fair, coveted the wealth and was jealous of the Templars' power. The French king set out to arrest all the Templars in France on October 13. While many Templars were seized and tortured, including their Grand Master, Jacques de Molay, many other Templars (who had been tipped off) escaped. 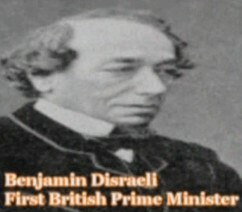 They eventually resurfaced in Portugal, in Malta (as the Knights of Malta) and later in Scotland as The Scottish Rites of Freemasonry, with Albert Pike playing a key role in defining a plan for establishing a world government. 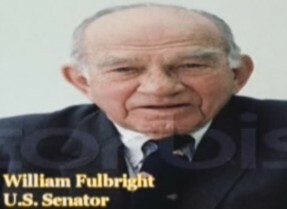 Around May of 1983, approximately 4 months before being shot down in KAL007, Congressman Larry McDonald takes on Pat Buchanan and Tom Braden on Crossfire as they badger him about his new role as Chairman of the John Birch Society. He easily handles them and answers questions concerning the Elite's Conspiracy for a One World Government. After connecting with many people from around the world during 5 years of intense research, Paul Verge charts his journey of startling discoveries through the many systems that govern our lives in North America, where hidden levers are pulled, backs are scratched in the shadows and the seemingly unconnected gears of everyday powerbrokers combine into a massive jigsaw puzzle, revealing themselves to be part of the juggernaut machinery pushing towards a consolidation of World Power. The independent media is needed to be included DAILY in consensus reality. We must also teach our kids to confer with at least one independent news media source. We want individuals to THINK not to obey and conform with out introspection. 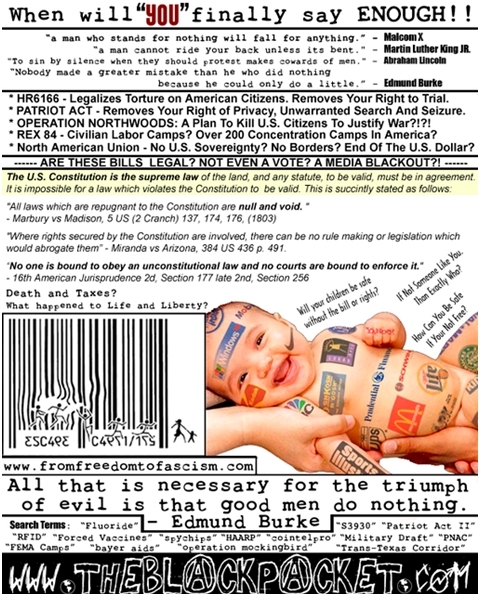 Please help address these issues by (critically needed) grass roots activism and sign our petitions.Further Video's and documents on the NWO can be obtained from this web site. Please visit and support the Centre for research on globalisation for further detail. And lastly. PLEASE SIGN THE PETITION HERE AND JOIN THE GROWING GLOBAL PUBLIC ACTION TO ADDRESS THESE ISSUES. Rise of the Republic exposes the commerce clause, defines Sovereignty, the proper role of government, a Constitutional Militia and much more. Don't Tread On Me offers sound solutions to take back rights stolen by our out-of-control, despotic federal government. Also check Restore the republic. THIS IS NOT CORE OF CORRUPTION, but this is made by the same filmmaker. 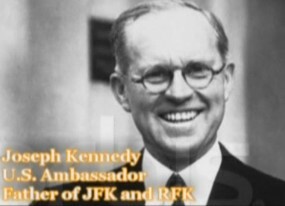 A mini documentary about the New World Order written and directed by Jonathan Elinoff from Loose Change, details the basic understanding and evidence to introduce someone unfamiliar with the information. Jonathan's film series, Core of Corruption, is sometimes featured and the expected release date for that series is March 27th, 2009. 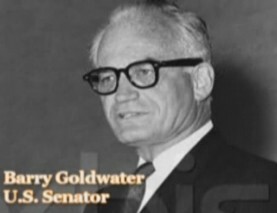 Another film you might remember Elinoff from is RAW: Republicans Against the War which was another mini-doc released exclusively online. 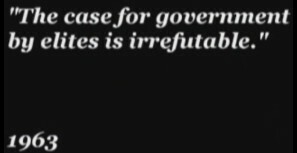 A Discourse on Government by G. Edward Griffin “Government is not reason. It is not eloquence. It is force. 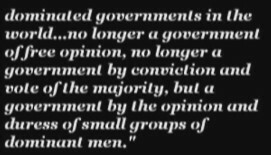 Like fire, it is a dangero...all » A Discourse on Government by G. Edward Griffin “Government is not reason. It is not eloquence. It is force. 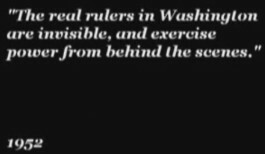 Like fire, it is a dangerous servant and a fearful master.” – Attributed to George Washington This program consists of unedited responses to questions presented to G. Edward Griffin by a camera crew creating a documentary on the U.S. Constitution. In this session, he answers the most difficult questions imaginable in the fields of political and social science. The depth and clarity of his response is amazing, especially considering he is speaking extemporaneously without benefit of script or notes. In an era when many people are just now waking up to the WHAT of current events, here are issues for the brain that go far beyond that shallow pool into the deep water of WHY and HOW. 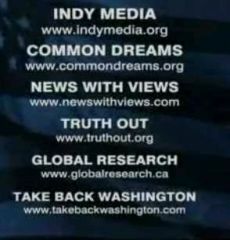 Also included is a bonus feature entitled Winning for America, Mr. Griffin's commentary on the Ron Paul 2008 campaign and a long-term strategy for victory offered by Freedom Force International. With these programs together, be prepared for a most rewarding journey. Total time: 1 hour 52 minutee. 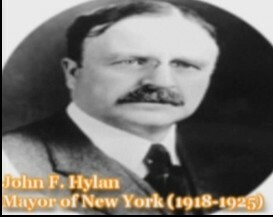 City of London + City of Vatican + City of columbia are the 3 independant states within states wich composes the empire of the city. The first is financial control over earth economy, the second is religion control over the earth and the third one is military control over the earth. Together they make the very unholy trinity which forms the egyptian pyramid that we can see on the back of the privately owned federal reserve note that is used as american dollar to maintain the colony in debt and under the Queen. 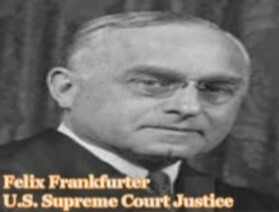 Many people realize that this mystifying situation, in which an alleged democratic and self-governing nation is actually controlled against the will of the people, is a clear indication that there must be a very powerful and well-financed occult organization which plans and directs world affairs, and for lack of a more specific identification the suspected secret organization is popularly referred to as the International Financiers, Banksters cartel or "The Crown corporation".